Tooth whitening or dental bleaching is one the fastest and easiest ways to improve your appearance and put more sparkle in your smile. With tooth bleaching, the color of the enamel is lightened, and the teeth look younger, healthier and brighter. The procedure can be done in one of two different ways. The in-office procedure uses a laser bleaching light, and can be completed in the dental office in just one hour. The second method, called at-home bleaching, involves the fabrication of custom bleaching trays, and takes longer, but works just as well. Please note: Not all cases show this much change. But, as you can see, the results can be very dramatic. The answer depends upon whether you are wanting both upper and lower to be done, or just one arch. We charge $300 per arch, or $600 for the whole mouth. This includes all the materials, follow up, teeth whitener products, and trays. These fees are the same for either the in-office tooth whitening procedure or the at-home dental bleaching technique. No, dental bleaching is not dangerous to either your teeth or gums. We have performed over 2000 bleaching procedures in our Mountain View office and we have no cases of tooth injury or damage to the gums. The dental profession has been using tooth whitening for over ten years, and there are also no reports of injury or risk either the teeth or gums. What teeth whiteners do you use? We use 16% Carbamide Peroxide as the primary teeth whitener. In cases where there is any concern about sensitivity, we will use 11% Carbamide Peroxide instead. Does bleaching make your teeth more sensitive? Yes, occasionally your teeth will be slightly more sensitive to certain foods or hot or cold beverages for a short period of time after the bleaching process has begun. After completion, this sensitivity stops, and your teeth will return to normal. 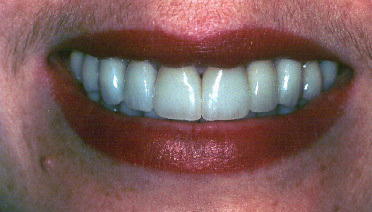 If you have crowns, bonding or fillings, they will NOT change color. So, before you bleach, you will want to change them first. 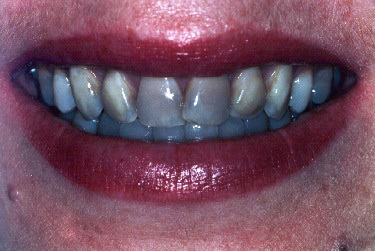 Then, the tooth whitening can be done to match. If you do NOT wish to replace these restorations, or cannot change them to a lighter color for some other reason, then dental bleaching may not be the right procedure for you.